A home with a private well has a great built-in selling point for Realtors to present to potential buyers. Private well owners enjoy many benefits. These include being free of any burdens of municipally supplied water, like increasing costs, seasonal restrictions and mandated chemical treatment mandated by the EPA and local authorities. As a Realtor, knowing the right questions to ask the current homeowner as well as what to look for when determining the health of the well are essential points. 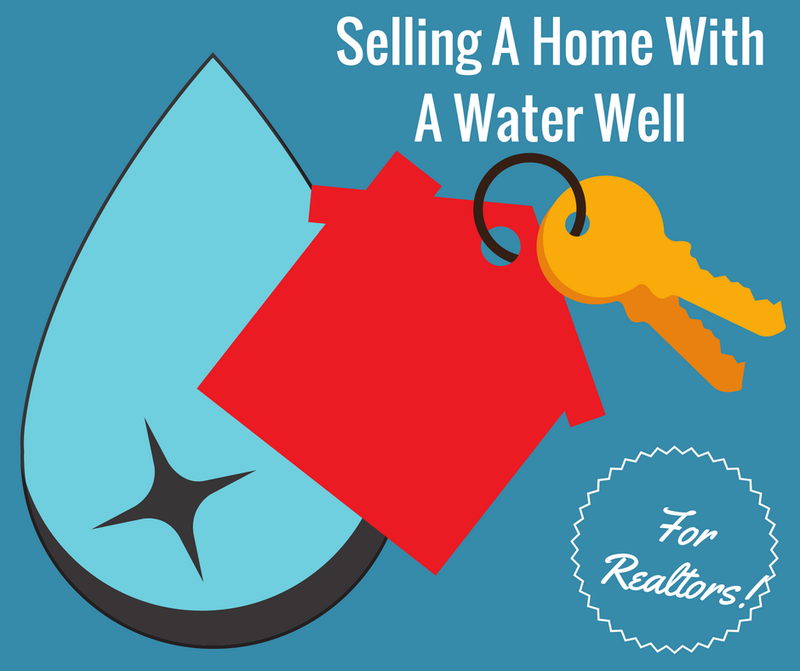 Whether you're representing the buyer or the seller, learning all you can about the home's water well can help you to make the sale. Today, modern wells provide safe, efficient water to more than 42 million homeowners nationwide. Most well owners enjoy peace of mind knowing they have a reliable source of clean water to meet all of their household needs. Well water is the best that nature has to offer. It's naturally filtered, cool, and pure. Because it is stored in underground aquifers, it is a safe, protected resource. Homeowners who receive their water from a private well can rest assured that they are providing the most reliable water for their family every time they turn on the tap. For Realtors, a home with a private well is money in the bank. A professionally built well can provide the homeowner with years of safe, affordable water. The bottom line, a water well is easy to maintain and adds real value to any home that has one! Knowing what questions to ask to gather the most relevant information is the key. Whether you're representing the buyer, or the seller a private well is a significant component of any home. The more information you have, the easier it will be to make the sale. Here are some questions to ask that can give you the information you'll need to proceed confidently. • What is the wells history? - Get as much information as possible on the construction, maintenance and current condition of the well. The seller should have a copy of the well log or well history available. If not, you can get the information form the well contractor or the local health department. • Review the Wells Condition – Where is it located on the property? What is it's age? • What is the wells capacity and its yield? - Communities will often set a minimum well yield for residents. Call the local health department or ask a well professional for and local minimum well yield requirements. • Has the well been recently tested? - The EPA suggests that well owners test their well annually. Testing should include bacteria, nitrates/nitrites, and pH. The well should also be tested for any locally known contaminants like arsenic, lead or radon. If you're selling the home, the well should be tested just before listing the property. Buyers should include a well test as a part of the home inspection clause. If you have any additional questions, consult a well water professional. They can give you information about any further testing and the need for repairs. A properly constructed and well maintained well can provide a lifetime of safe, clean drinking water. Here's a quick list to run through when considering the condition of a private well. Much of this information should be contained in the well log. • The casing should be at 12-inches or more above grade. In flood-prone areas the casing should be 12-24-inches above the highest recorded flood level. This assures that no contaminants can enter the well. As a Realtor, understanding what you need to know, and gathering the information necessary is a key element when selling a home that receives its water from a private well. Whether you're representing the buyer or the seller in the transaction, knowing as much as possible about the location, condition and overall health of the well can be a huge selling point that can add value to a home. Make sure you have a copy of the well log and current test results preferably before the home is listed. If representing the buyer make sure to ask for a copy of all the records about the well. The more information you can gather as early in the process as possible, the easier it will be to make the sale! If you need a trusted resource you can count on to get the answers needed to sell a home with a water well, you can always count on Skillings & Sons. Give us a call at 1 (800) 441-6281 and we will help you better understand water wells.